Purpose: To build an inclusive community that respects the diversity of faiths for all the people of Halton. Eligibility: Eligibility as a;member of the Council shall be open to all authorized representatives of faith/religious/spirituality groups whose membership or regular place of meeting is within the Region of Halton. Membership shall be renewed on an annual basis. Any authorized representative who does not make contact with the Council for four regular Council meetings shall be asked if they wish to continue to be a recognized representative on the Council. If there is no further contact for the next two months that person shall no longer be deemed to be a representative on the Council. The Council shall determine which groups are eligible to be a member of the Council. The Council shall meet on regular days in the months Of January, March, May, September, and November. The executive shall meet on regular days in the months of February, April, June and October. Additional meetings of the council or executive may be called as needed by the Council or its executive. The regular meeting days shall be decided at the January meeting. The Chairperson shall normally chair all meetings of the Council and Executive meetings of the Council, unless he/she has a conflict of interest, in which case the Vice Chair shall chair or if the vice Chair is in conflict or not present, the Council shall elect, by simple majority, a temporary Chair. Once the item in which the Chairperson or Vice Chair of the Council is in conflict is over the Chairperson or Vice Chair shall resume the chair. All external communications of the Council shall be sent in the name of the Chairperson. The Chairperson shall be a bank signatory and a signatory on all cheques. The Chairperson shall be the principal spokesperson on behalf of the Council in contacts with government and non-government organizations. 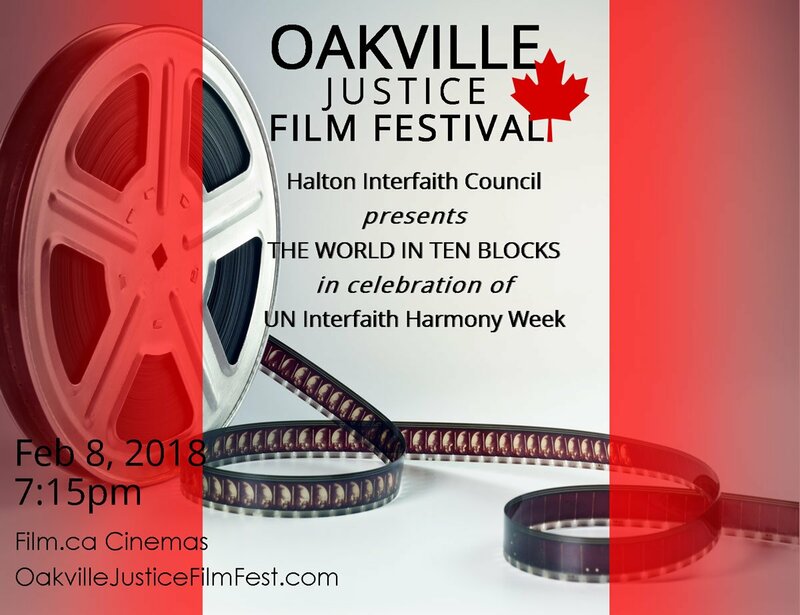 External communication will go out under the name of the Interfaith Council of Halton, signed by the chairperson or the Executive Secretary. The Chairperson, along with the Executive Secretary, shall approach persons who have been nominated for positions on the Executive in the priority order of the number of nominations. The Chairperson shall have the primary responsibility for investigating and attempting to reconcile differences of personality and/or understanding between members of the Council. The Vice-Chair shall be a member of the Executive of the Council. the Vice-Chair shall be available for consultation with the Chair on Council business. The Vice Chair shall assume the duties of the Chairperson when the Chairperson is in a conflict of interest and when the Chairperson is unavailable to carry out their duties as Chairperson. The Executive Secretary shall be a member of the Executive of the Council. The Executive Secretary shall be responsible for ensuring that the minutes of Council meetings are taken, prepared and circulated in an appropriate manner, at least a week before the next scheduled meeting. The Executive Secretary shall be responsible for keeping files of the communications and other documents of the Council. The Executive Secretary shall prepare all written communications [posted or emailed] on behalf of the Council unless otherwise directed by the Chairperson, the Council or its Executive. The Executive Secretary shall make known to the Chairperson any important communications received which pertain to the work of the Council. The Executive Secretary shall take Council Executive minutes and see that they are made available to Executive and Council members. “The Executive Secretary shall be a bank signatory jointly with the Treasurer.” The Executive Secretary, along with the Chairperson, shall approach persons who have been nominated for positions on the Executive in the order of priority of the number of nominations. The Executive Secretary shall maintain a record of recognized Council members and a wider list of contacts. The Treasurer shall be a member of the Executive of the Council. The Treasurer shall be responsible for keeping the accounts of the Council in accordance with legally and generally accepted standards. The Treasurer shall prepare and circulate reports on the finances of the Council at Council and Executive meetings. The Treasurer shall be authorized and responsible for paying all accepted debts of the Council. The Treasurer shall keep efficient hard copy and electronic files of the financial transactions of the Council. The Treasurer shall be a bank signatory. The Treasurer shall be a bank signatory jointly with either the Chairperson or in his/her absence with the Executive Secretary. The Treasurer, upon relinquishing the office, shall turn over to the successor, or to whomsoever the Executive of the Council may appoint, all records, property etc belonging to ICH. The Member at Large shall serve as a liaison between the executive and committees of the council. All Members of the Executive shall be elected annually and for no more that three continuous years in the same office. At least one-third of the members in good standing Council members shall constitute a quorum. Decision making by the Council and the Executive shall be by consensus with the intention of avoiding losing the adherence of any faith group due to problems of conscience. Representatives of any faith group may, however, ask for a recorded exemption from any policy or action preferred by a majority of the other groups amongst whom there is a consensus. Potential agenda items may be made known by any representative to the Chairperson or Executive Secretary at least two days prior to the next meeting and may or may not be included on the agenda with their consent. Any representative whose agenda item has not been included on the agenda may challenge that decision at a meeting of the Council and if a majority of those present agree to it being included it shall be included and discussed. The Council may set up such subcommittees/groups/ task forces as it deems fit. The Council may set up such subcommittees/groups/ task forces as it deems fit. Sub committees shall report to the meetings of the Council. The Executive may proceed with business entrusted to them by the Council and shall report on the progress of such business to the Council. Changes to the constitution shall be by two-thirds of those present at an annual general meeting. Notice shall be given at the September meeting of the Council that nominations for the Executive for the coming year will be held at the November meeting. This notice shall be also be sent out with the minutes of the September meeting. This notice shall be accompanied by a list of the role descriptions of each executive office. All representatives in good standing shall be eligible to participate in the nominating process. Authorized representatives in good standing who cannot attend the November meeting at which the nominations are held shall be able to send their nominations to the Executive Secretary by mail or email, arriving at least two days before the date of the meeting. All representatives in good standing shall be entitled to nominate one person for each office. These nominations shall be given to the Chair and Executive Secretary who, together, shall determine the priority order of votes for each person nominated for office. The person with the highest number of nominations shall be approached first. If they are not willing to take office then the person with the second highest number of nominations shall be approached and so on. The office of Chair shall be filled first, then Executive Secretary, then Treasurer, then Vice Chair. No more than two persons belonging to any one faith group may serve on the Executive at any one time. Notice of the new Executive shall be communicated to the Council members as soon as possible after the offices have been filled. The business and financial year of the Council shall be the calendar year There shall be a suggested annual membership fee of $15:00 to belong to the Council. The Council may seek sponsorships and grants as it deems appropriate. Any monies which accrue to the Council through charges, sponsorships, grants etc. shall be supervised by the Treasurer at the direction of the Council and shall be reported on according to the job specification of the Treasurer. These reports shall not be less than once a quarter or three times a year. The Treasurer may have discretion of meeting expenses up to $150:00. Larger amounts must be agreed to by the Council after explanation and discussion. Financial Reports shall be made available, on request, to any represented faith group or any body the Council considers appropriate. The accounts of the council shall be presented annually at the AGM. The Council may enter into partnerships as it deems appropriate for as long as it deems appropriate. The Council may not enter into any partnerships or make common cause with any political parties. Approved as a Final Draft to be presented to the AGM September 2010.